Earlier this month we celebrated the grand opening of our newly expanded headquarters. The construction of the new facility was a truly impressive undertaking, and we all had a front row seat (or standing desk view for many of us). Fortunately, we captured the entire process, which began last August and was completed in June, so we could share the experience with you. 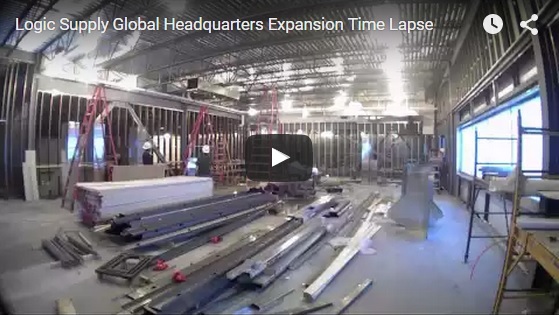 We’ve compressed nearly a year of exterior and interior footage into this ten minute video, showing the crew from Neagley & Chase creating the new space. From first breaking ground to hanging the Logic Supply logo, we hope you enjoy watching the construction process from start to finish as much as we did. And if you missed the coverage of our grand opening, check out this post for a brief recap and some photos.